This morning I had the privilege of preaching a sermon based on my reflections of my trip to Vietnam and the book of Romans. 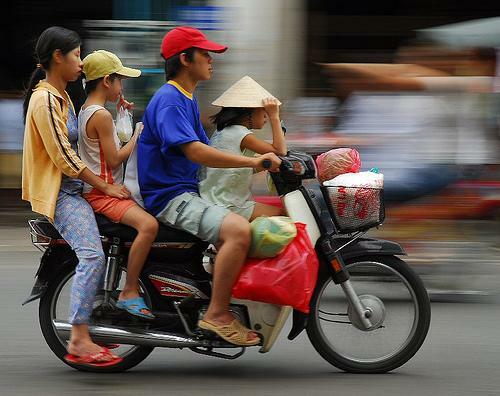 Here is a summary of my sermon in one sentence: My trip to Vietnam was long, different, eye-opening, and (I pray) fruitful. 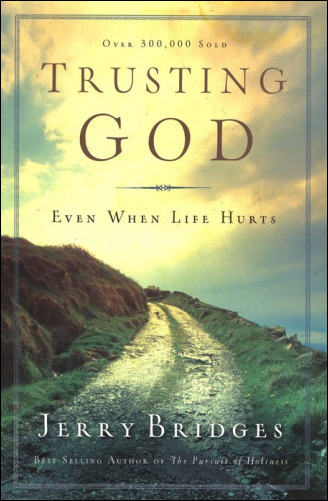 Trusting God: Even When Life Hurts by Jerry Bridges is one of those few books that every Christian should read at least once. (I say that about every book Bridges writes and this is no exception.) Bridges’ point is simple: We can trust God with everything, and in everything, because He’s sovereign, wise, and good, even when life hurts. The opposite is also true: If God is not sovereign, wise, or good, there is no way we could, or should, trust Him with anything. Bridges is simple, clear, and profound in his exploration of this topic. As usual, I was not disappointed. Tolle lege! 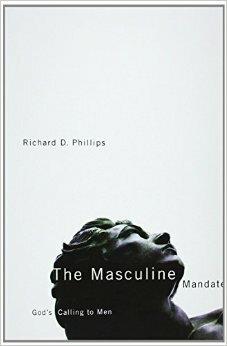 The Masculine Mandate: God’s Calling to Men by Richard Phillips deals with the subject of what God requires of men. God calls men to work and to keep (which was made known before the fall int he garden of Eden). The tasks of working and keeping are applied a man’s work, his marriage, his role as father, and as a churchman. It’s not hard to see this book used by men meeting with each other and in small groups, or used by men’s ministries. Good book – give it a read. This morning I had the privilege of preaching on John 6:16-21 (“Walking on Water”). Here is a summary of my sermon in one sentence: Jesus walked on water to demonstrate sovereignty over His creation in order to show His people that His presence cancels fear. Kevin DeYoung has done it again! He’s written an accessible, faithful, readable book. 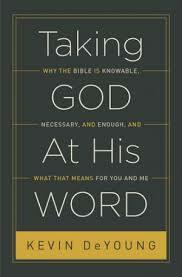 Taking God at His Word: Why the Bible is Knowable, Necessary, and Enough, and What that Means for You and Me” It’s an excellent introduction of what the Bible says about itself (not what man says about it). It will increase you trust in God’s Word and your love for it. DeYoung is moving into my small list of authors who should be given the honor of reading whatever it is they write. Toole Lege! You’ll be glad you did. 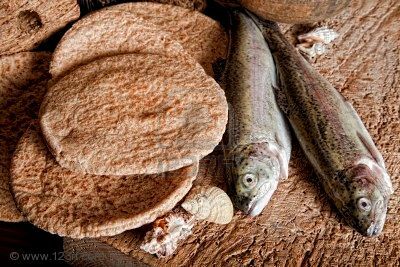 This morning, I had the privilege of preaching on John 6:1-15 (Jesus feeding the 5,000). Here is a summary of my sermon in one sentence: The Lord Jesus Christ is sufficient to supply, save, and secure His people! Should We Preach the Wrath of God? One of God’s attributes is wrath. He is absolutely, perfectly, and righteously angry at sin. It isn’t just an Old Testament doctrine, either; it’s found in the New Testament, too. So, why don’t we hear much about it from our pulpits? Probably because it’s thought that people won’t like it or they might be offended and stop coming to church (which would violate the “mission” of many churches – to do or say anything needed to keep the largest number of people coming). It’s not a “warm and fuzzy” doctrine, but it has to be preached if we’re going to be faithful to God. Steven Lawson has some excellent thoughts in this article. I highly recommend it.